Since 1996, Robinson Residential Design have had the pleasure of personalizing home designs for thousands of people. We take pride in providing creatively designed and highly detailed house plans to home owners and builders across Canada and the USA. Our goal is to guide you through planning and designing your dream home! At Ricks Custom Cabinets & Renovations we specialize in Commercial and residential custom cabinets, manufacturing, installation and total general renovations. Twenty Years ago our company was formed with these principles: that we manufacture premium cabinetry and that we give our customers complete satisfaction. We have combined today's most modern techniques in manufacturing and incorporated the quality craftsmanship of years of experience in the Custom Cabinet Industry. Today "Rick's Custom Cabinets and Renovations Ltd." is proud to say that we have firmly established our presence in the Manufacturing Industry. 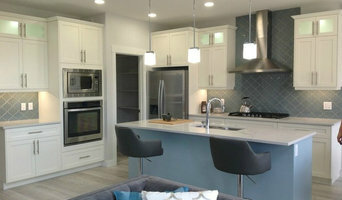 We have become one of the premier manufacturers of Custom Cabinetry in Saskatchewan. We are also proud to say that our Custom Cabinets are manufactured with Saskatchewan Products and truly promote "Made in Saskatchewan". House Envy Interiors provides interior design services for residential and small commercial design. Christy Lawson started House Envy Interiors in the fall of 2012. She achieved her diploma in Interior Design and has successfully received her NCIDQ(National Council for Interior Design Qualification). She currently resides and works in Regina, Saskatchewan. 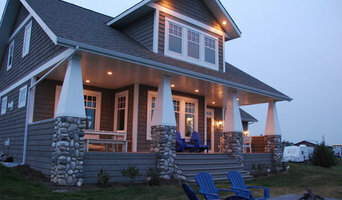 Authentic Developments is a custom home building company based out of Regina, Saskatchewan. Experience personalized one-on-one service and discover the quality and details when you build with Authentic Developments. Authentic Developments builds every one of our homes with passion, pride and determination. We strive to always exceed your expectations and promise to address any questions or concerns not only in a timely manner but with our expert knowledge so you have peace of mind that not only is the job being done on time, it’s being done RIGHT! Built to the highest quality using the most advanced products and methods available we are confident you won’t find a better home building experience anywhere else! Dream it. Build it. Love it. Piller & Putz Construction provides comprehensive residential construction services to Regina and surrounding areas. Our team of Project Managers, Red Seal Journeyman Carpenters, Apprentices and Finishers deliver personal customer service, efficient time management, and high end custom finishes. Piller & Putz delivers a superior customer experience by setting clear expectations, firm estimates, meticulous attention to detail, change order management, and consistent open communication. Sarah Turnbull and Stacey Melnyk are award winning registered Interior Designers, together they have over 25 years of experience in the industry. They have achieved multiple local provincial and national awards. Offices in both Regina and Tisdale. Full Interior Services for both commercial and Residential. Awards: Award of Excellence SFW x IDAS 2017- Stacey Melynk #1 Top rated Interior Designer in Regina- Three Best Rated 2017- Sarah Turnbull Best of Canada- Institutional Interior Design 2014- Arcola School-Canada Interiors Magazine- Sarah Turnbull as Lead Interior Designer with P3A Premiers Award of Excellence in Interior Design 2013- Saskatchewan Hockey Hall of Fame- Sarah Turnbull as Lead Interior Designer with P3A Premiers Awards- Student Choice 2014- Arcola School- Sarah Turnbull as Lead Interior Designer with P3A Premiers's Award of Merit in Architecture 2014- Arcola School- Sarah Turnbull as Lead Interior Designer with P3A Top 3 for Best of Regina- www.bestofregina.ca 2017 (Sarah 1, Stacey 3) Services include: Full construction drawings, 3D renderings, project management, finish selection, interior styling, furniture procurement and Interior Photography. Residential: Full Interior Services including: Interior Design, Small Construction and Interior Styling Commercial: large and small commercial spaces, specializing in Boutique Public Spaces. For a full list of commercial projects please check out Sarah's linked in: ca.linkedin.com/in/sturnbullinteriors To see current happenings and design tips please follow our facebook page www.facebook.com/bespokeinteriordesigns Website: www.bespokeid.ca Sarah and Stacey are both full member of IDAS and IDC and is legally allowed to use the title Interior Designer. Check out the Interior Design Association of Saskatchewan page for more information on what qualifications an Interior Designer must have. We carry 1 Million + in professional liability insurance. We follow the code of ethics of the Interior Design Association of Saskatchewan. Southern Saskatchewan's largest and best home builder Celebrating our 40th year in business! Building your new home is more than just a matter of constructing four walls. It's an expression of who your are and what's important to you. At the heart of Crawford Homes you will find a commitment to family, affordability, quality and sustainability. Family Being a family owned and operated business right here in Saskatchewan, Crawford Homes had learned that the secret of success comes down to what’s important to you and your family. Understanding that everything Crawford Homes does is to provide a great home for their family and for your family. When you walk into owner Al Bashutski’s office, the first thing you see are pictures of his three grand children: Manni, Jasper and Stella. Al’s life has always revolved around providing the best for his family. This is reflected in the homes he builds. If you understand this about Al and his team, then you’ll agree that Crawford Homes is the best company to trust to build your new home. Affordable, Custom Building The intent at Crawford Homes has always been to provide great quality homes at an affordable price. That’s why Crawford Homes has become the recognized leader in the housing industry for almost four decades. Using a vast network of experienced and talented tradespeople and suppliers enables Crawford Homes to plan and build into every home a superior craftsmanship and quality materials at a fraction of what it would cost if you built that home yourself. In other words, a custom-built home without an custom-built price tag attached to it. Quality Quality comes down to facts and intentions. And, the fact is that Crawford Homes builds a superior product. That’s why tradespeople in the industry have been quoted as saying that Crawford Homes is "simply the best". Crawford Homes’ intention is to increase customer satisfaction through better and more responsive customer care. Everyone who works with Crawford Homes strongly believes in and encourages a common sense and practical approach to building. Their goal is to educate every homeowner to make informed and smart choices, while taking the time to go over the details that need to be taken into consideration when building a quality home. *Hunter Douglas Authorized Dealer* Choosing the right window coverings that speak for you, your personality, and your needs is something that is best handled by a trusted friend; someone who has taken the time with you to get to know your likes and dislikes, priorities, lifestyle, and family. The experts at Superblinds employ those values in helping you choose window coverings that suit your needs, decorating taste, and lifestyle. Anita has worked in the window coverings business for over 30 years, and her experience lead her to launch her own business "Superblinds & Draperies in Regina" in 1997. Anita is a certified decorating consultant and continues to build on her education to stay on top of the latest trends. Lisa is a partner of the company. She has attended numerous seminars throughout Canada and the U.S. over the past 20 years including the course in Broomfield, Colorado, which has allowed her to become Regina’s only Certified Home Automation Specialist. She feels it is important to keep up with the ever changing products and trends in window fashions. Draperies are also a passion of Lisa’s. She feels they are a finishing touch to any home. Lisa works hard to provide her clients with a variety of styles as unique and diverse as they are. Today there are so many choices, so many beautiful possibilities of ways to transform light into every room in your home. We invite you to come and see our showroom, Regina’s only Hunter Douglas Gallery with the exclusive Alustra Collection. At Superblinds, we can help you make an informed decision about choosing the products that are right for you, your lifestyle, and your budget. We will help you every step of the way, from choosing your hard window fashions, to soft custom draperies, bedding, and custom cushions. Whether your style is contemporary, traditional, formal, or retro, Superblinds can give you choices you never thought possible. We invite you to see all the beautiful options displayed in our showroom. Please call to schedule your free personal consultation today! We have been in business for 50 years, family owned and operated since 1967. Locations in Regina and Saskatoon providing a wide range of lighting and decor products from over 50 manufacturers! Our friendly and knowledgeable staff are available for assistance whether its picking out a new light fixture, helping with a renovation or reviewing your house plans in early stages to ensure you get the end result you want! 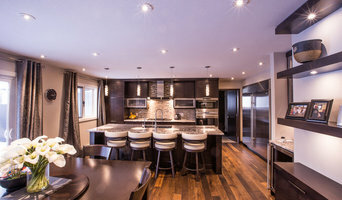 Ripplinger Homes is an award winning custom home builder in Regina, Saskatchewan since 1997. We have an excellent reputation for providing quality craftsmanship, superior design, personalized care and outstanding service to all our home owners ensuring that building your dream home will be a stress free and memorable experience. Our new home builds range from starter home to luxury executive homes. Each home is built with exceptional attention to detail ensuring that your new home is built to suit your lifestyle. To assist you in building your dream home you can choose to tailor one of our existing floor plans or meet with one of our designers to customize a home built to fit your needs. Prior to constructing your home we will meet with you to finalize the floor plans and your finishing options to come up with a price for your new home. During construction we will meet with you on site to go over your electrical and cabinet layout. Throughout the building process we will assist you to ensure that choices and decisions on materials and products are made on a timely manner to ensure your dream home is completed on time and within your budget. Rispens Landscaping is co-owned by the brothers, Anton and Philip Rispens, who immigrated to Saskatchewan, Canada from The Netherlands in 2003. Anton and Philip both share a love of landscaping as well as a formal education in landscape from the College of Agriculture located in Groningen, The Netherlands. The Rispens familiarized themselves with Canadian trends and landscaping practices and in 2007 started their company, Rispens Landscaping. They have been contracted for many projects in the Regina and surrounding area. At the 2008 Spring Home and Garden Show they introduced their new line of vinyl fence products to give them the ability to better fulfill their clients needs. Rispens landscaping was in the 2009 BBB torch award finals,they where nominated in the category “contractors and home improvement”. Rispens Landscaping is a retailer and wholesaler of vinyl fence products, as well as providers of professional landscaping services. But before you start sending out dozens of emails and making phone calls, sit down and think about your project. What's your budget? What is the scope of your project? Will you need more than one type of professional to complete your home improvement project in Regina, SK? Can you afford to complete the full project now, or should you tackle it bit by bit? Once you've settled on your project’s priorities, budget and scope, it's time to start researching Regina, SK home design professionals. Don't sell yourself short and settle on the first professional you set your sights on. Make sure that you're working with someone local, who can get to the jobsite easily and efficiently. Look into the person’s reviews, ask to speak with former clients and to see previous jobs in person. Take a good look at their portfolio photos: How similar are these projects to your own? Be honest — that mansion might look beautiful, but it might not have a lot in common with your little bungalow. Reach out to multiple professionals — especially for larger projects — and don't settle for the first bid you hear. Comparing multiple Regina, SK professionals' bids and experiences can help you find the one that’s best for you. Ask a lot of questions now, so you won't have unexpected answers later. Find a home design professional on Houzz. Narrow down your search by type of professional and location. 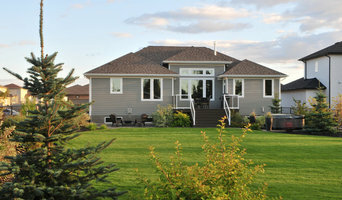 Browse Regina, SK portfolio photos, read client reviews and contact each Regina, SK professional for more information. Check out the information in the specialized professional sections too for tips on how to hire the right professional for your project.